I can honestly say it was one of the best experiences of my life. Unlike other companies, at To-Jo I felt like my role meant something and that my job was just as important any anyone else’s. 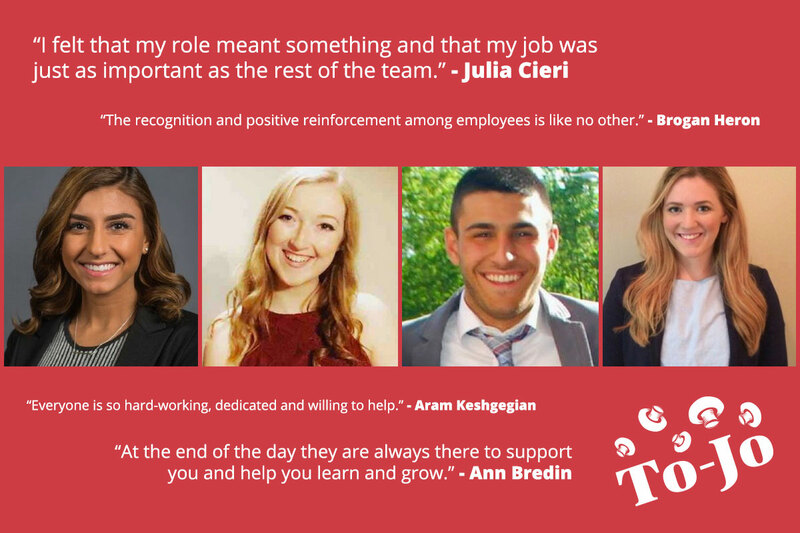 The people at To-Jo want the best for the company because the company makes them feel like a part of a family. I went to work every day and tried my best to make the company better–not for a paycheck, but because I truly cared about the well-being of To-Jo Mushrooms and its employees. It was an unbelievable experience, and I am a better person and employee because of it. To this day, I still applaud To-Jo for making my first co-op experience so memorable. I was able to experience the different operations in each department, which allowed me to have a greater understanding of To-Jo as a whole. 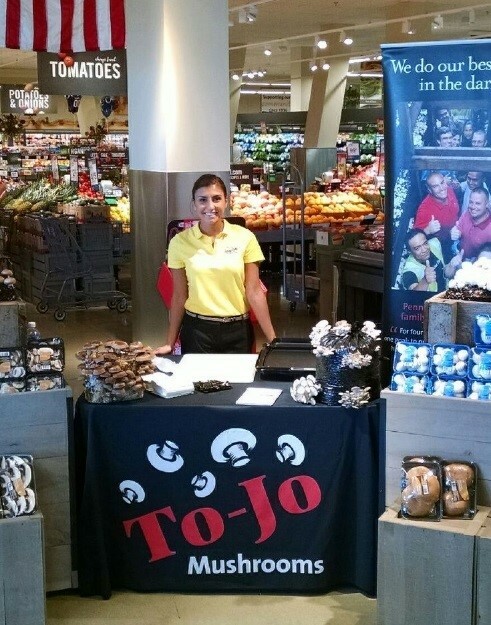 To-Jo truly sets itself apart from other companies because they treat each employee like family. The recognition and positive reinforcement among the employees is like no other. It was so refreshing to walk throughout the building and greet people on a first name basis. I’ve never worked in a place where there was so much happiness, positivity, and togetherness. 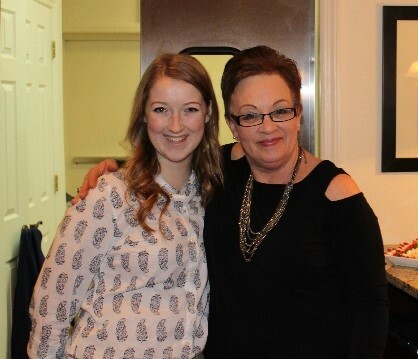 During my time at To-Jo, I truly valued every person I came across. One of the main highlights was the ability to become introduced to such a wide range of occupations, in one co-op experience. I learned about the fresh side of production, foods side of production, transportation, merchandising, accounting, strategic planning, sales, and marketing. By shadowing each department, it allowed me to be more useful throughout my time at To-Jo, in addition to identifying what I wanted to do with my food marketing major! At the end of my co-op, I was able to direct my interests towards the produce-side of the food industry, with a particular interest in food safety! Working at To-Jo was a great work experience for me because it was like working with a big family. Everyone is so hard working, dedicated and always willing to help. Through working at To-Jo I gained many different marketing and management skills through shadowing and working closely with the people in all different areas of the business. By doing so I was able to learn in a “hands on” way from some of the best employees. Working here, I was given a lot of guidance, while still having the freedom and encouragement to take on projects on my own. As a senior at my third and final Co-op placement, I can honestly say that I have truly enjoyed working for a company that cares so much about its employees and values the work each employee puts in to make To-Jo the great company that it is. I have had many amazing experiences here, being involved in many aspects of the company, but the thing I have loved most is seeing everyone come together, whether it be for Celebration Day, some of the various internal contests we have had, or even times of struggle. Those are the times that I have been able to see just how much Tony and Joe, and the rest of To-Jo’s employees, care about the wellbeing of the company and its people. To-Jo really is one big family, that I am proud to be a part of. We want to thank our previous Co-op students for being such an important part of our team during the duration of their six month internship. We value their input, bright ideas and hard work, and wish them the best in all of their future endeavors. We are lucky to have such a valued partner that matches so well with our culture in Saint Joseph’s University. 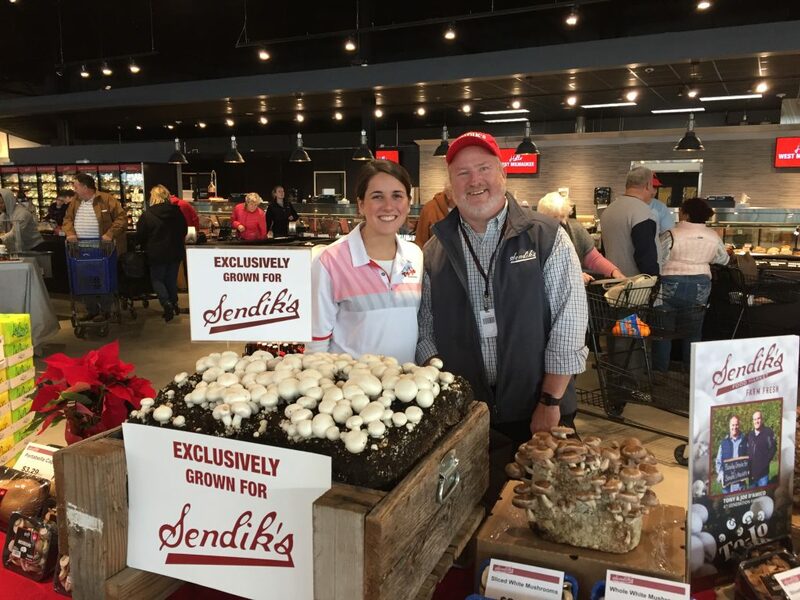 To-Jo Mushrooms and the Saint Joseph’s University, Food Marketing Cooperative Program, have partnered over the last three years to help students of the program develop skills for their future in the industry. 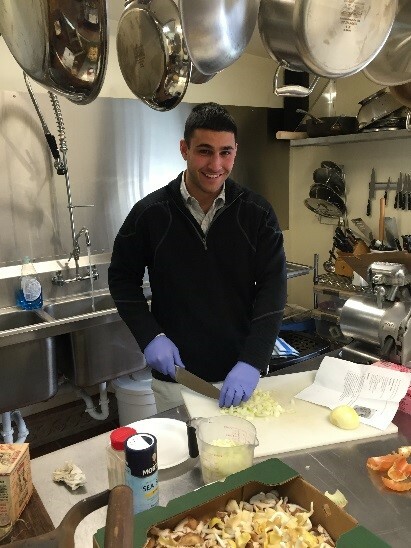 To-Jo and St. Joe’s have strived to enhance the co-op student’s Food Marketing education by providing them with real world experience, and knowledge about an industry that is new to them. We have had great success with this program and continually look forward to hiring bright new students that add value to our team. Each co-op student is with us for about six months. Throughout their time here we expose them to all aspects of the business. They are given the opportunity to rotate through various departments of the company before they begin their time with the sales and marketing team. Students are challenged to work on a variety of projects, from all areas of the business. We are proud of the program we have created here with the support of St. Joe’s and wanted to give some of our past co-op students an opportunity to tell us about their experience here at To-Jo. We hope you enjoyed their stories.